In this age of economic difficulty, we are all keeping an eye on our spending, but when you need to start decorating your home it can be very difficult to know how to do this within a tight budget. Many people put off shopping for new furniture and decoration for fear of costs, but the truth is that with a little creativity, a small amount of money and some patience, you can build the room of your dreams. There are many sites and stores that can help you to realise your decorating dreams and help you make important styling decisions. 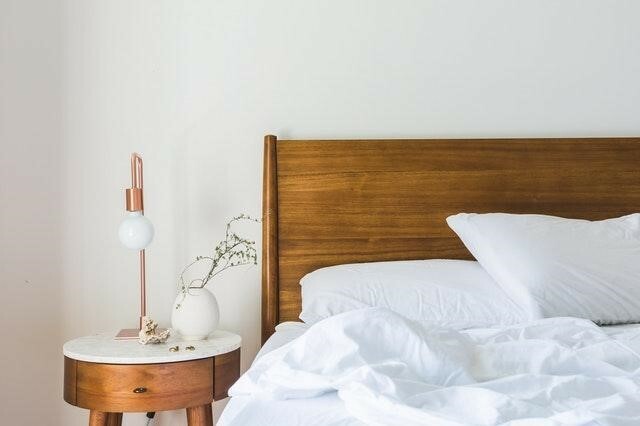 Here are some top tips for decorating your bedroom to make it stylish, relaxing and ultimately beautiful. One of the best areas of decorating where you can save money is by taking on the physical decoration work yourself, such as painting or hanging wallpaper. Be careful with your budget - not only are the materials expensive, but if you hire outside labour, you’ll be paying quite a hefty price! To make sure that you don’t overspend on the decorating items such as paint and labour, it’s best to pick a singular colour like beige and do the painting yourself. Remember, you don’t have to be an artist to paint your bedroom and most of all, it will be great fun. If you are new to decorating and you have a huge space to fill, why not ask friends to help you? You could have a day of painting whilst catching up with all your friends or family. 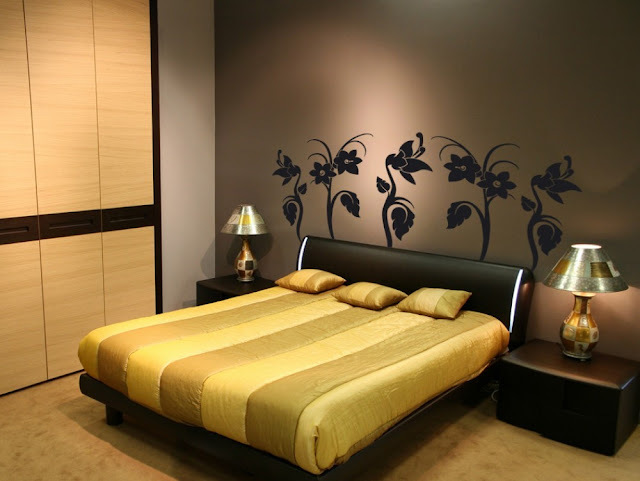 Often, the smallest changes made to a bedroom can cause the strongest aesthetic impact. A very easy and affordable addition to a bedroom can be wall stickers, which add a strong focal point to a room. With a large selection available for different kinds of needs, you can be very creative in how you use them. One of my favorites is adding a beautiful quote to the wall. It’s both personal and can be a great pick-up and inspiration for your day-to-day. There are many other options available as well: silhouettes, tribal images, photos, artistic designs and even visual illusions. We have all heard the phrase “make do and mend”, but many of us shy away from trying out crafts. When you are redecorating on a tight budget, there is never a better time to try out some crafts. You may not want to make everything you need, but doing small items such as creating a couple of paintings or a mosaic mirror to hang up are great places to start. Many items you will need, like plain canvas for painting, can be found online for a fraction of the price they are in shops. If you don’t fancy painting something, then why not turn to your favorite magazines or photographs and create a montage with them. Either way, remember that this is all about having fun and being creative!